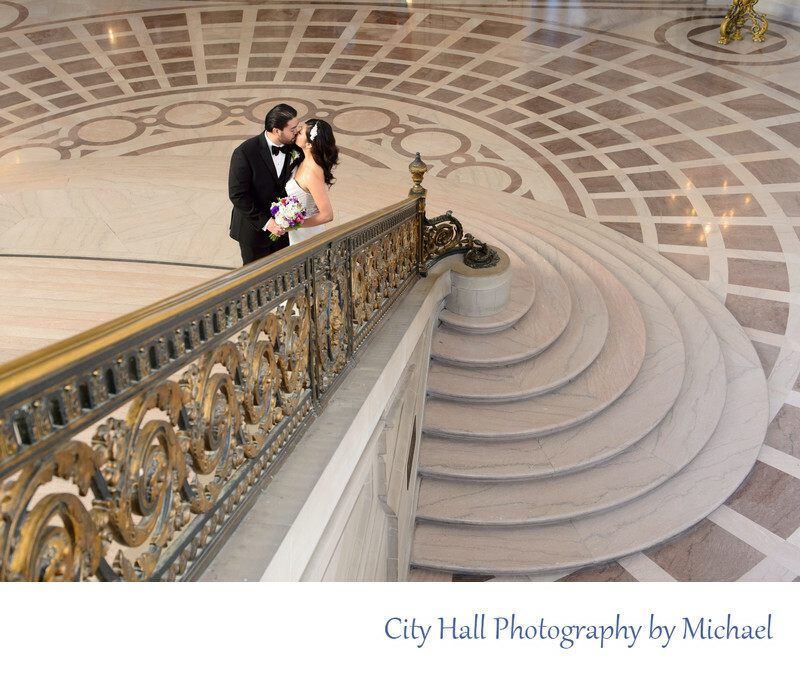 On any given week day at SF City Hall you will see dozens of people taking photos of people on the Grand Staircase. About 90% of these photos are either straight on or looking up the stairs. I figured out that one of the truly beautiful things about City Hall is the floor design and the photo above captures it. To get this shot, we go to the very top of the stairs and shoot down the railing. We often have to wait for people to clear out of the way, but I think you will agree the results are worth it!